This skirt totally spoke to me when I ordered it. I wore it for Easter and haven't looked at it since. Story of my life. Thanks to Photography Hill for the pictures! I'm currently on a campaign to wear every single thing in my closet then rate it on condition, wearability, and likelihood that I'll actually get more use out of it. I'm trying to be ruthless and cut out things that just aren't worth the space but I keep dreaming up scenarios in which I WOULD wear the thing ("If I ever go on a picnic in Iceland, this would be perfect!") and I'm really struggling. It's so hard to look at something you spent actual money on then only wore a couple times and say, "Yeah, $15 per wear is as good as it's going to get. Time to donate this one." There's always that hope that you can wear it a few more times and maybe get a little more of your money's worth out of it, you know? 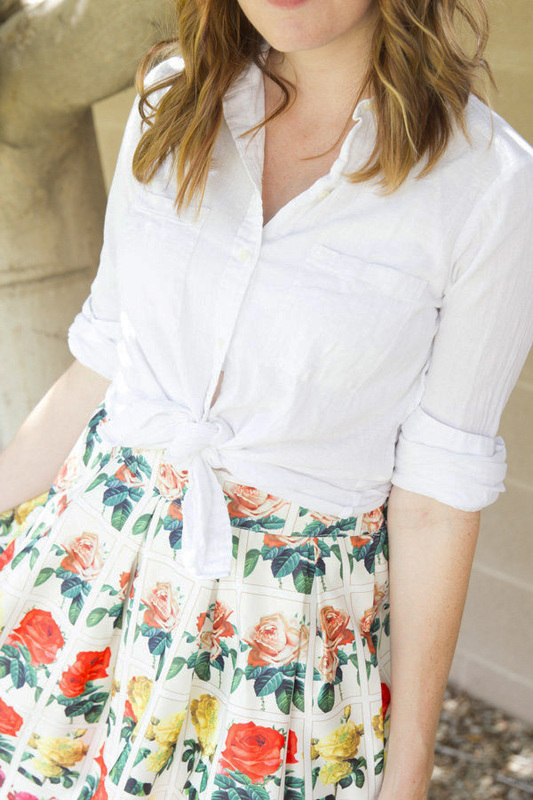 If I ever get invited to a garden party, I'll totally wear this skirt. Like this post? You might like some of my skirt tutorials! 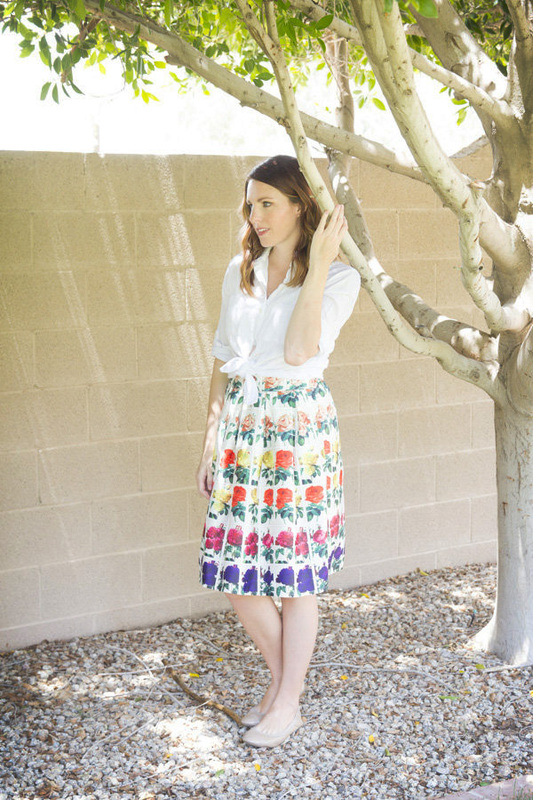 Check out my DIY paneled skirt or my dip-dye skirt to dress tutorial! I Love this and think it looks great on you but totally know what you mean. I am pretty sure I would reach for my boring black strips pencil skirt every time and over look this. But it's gorgeous! Wear it to target and feel fancy and awesome! The prices on that site are ridiculously cheap! Is it good quality? If so, I'm in trouble (or I guess my husband's paycheck is in trouble because I'm going shopping). Honestly, the quality is pretty cruddy. I ordered several other things alongside the skirt and don't like any of them (but can't be bothered to return them because it's kind of a pain and now I'm wasting even MORE money). Occasionally you find something good but eh. I'd look elsewhere. Have you tried dressing it down? It's absolutely stunning! I love that skirt though!